In 1992, we only had 3 participants, all from the Philippines. But although the numbers were low, the quality was high! 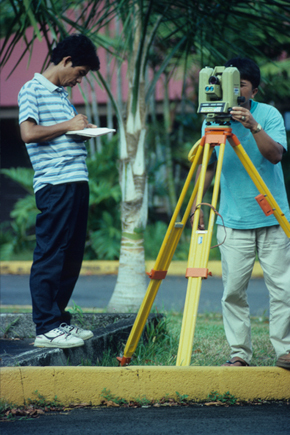 Eduardo Laguerta records notes as Elmer Gabiente reads the Total Field Station. 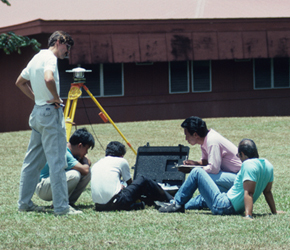 The CSAV group sets up a GPS unit on the lawn of UH Hilo, under the direction of Jim Anderson and Ken Yamashita; Sergio Marcial (pink shirt) records.